John N. Booth began a lifetime association with music at an early age, as an avid listener. 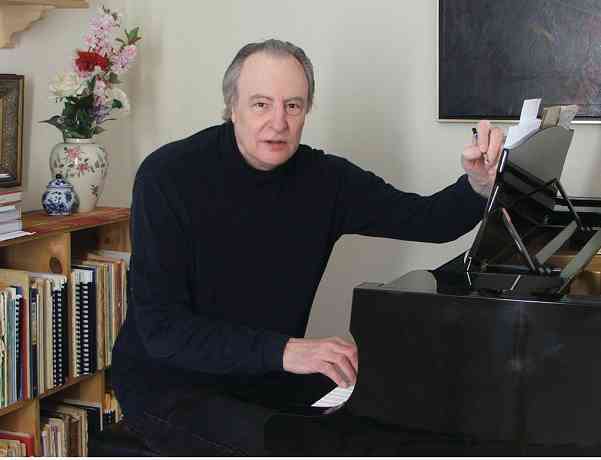 Although his serious music study didn’t begin until the age of fourteen, when spurred on by his desire to compose, he taught himself to read and write music, and began piano lessons with a local teacher, then at the New York College of Music. While pursuing his piano studies, Mr. Booth began violin studies, taking private lessons with a member of the National Symphony Orchestra. Mr. Booth went on to play professionally in orchestras in New York and New Jersey, while composing and maintaining an active teaching schedule, offering instruction in violin, viola, and piano, and performing with a chamber music group which he founded. Currently Mr. Booth confines his teaching to private piano lessons, music theory, and composition. He loves the Suzuki approach because it gives him the chance to contribute to the forming of a sensitive, art-and-life-loving personality. He takes beginners as young as 4, but has occasionally accepted a “mature” 3 1/2 year-old! He teaches at his home studio in Wheaton, IL.